I would agree with the big flavor, but not the low fuss for the recipes. Yes, you use a slow cooker for every recipe, but many times you are also using the stove, microwave, grill, etc. There's enough information to make some very tasty meals, but it lacks very many photos of what they should look like when finished. 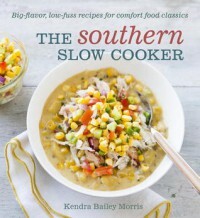 With all the cookbooks out there for slow cookers, this one might have trouble keeping up.